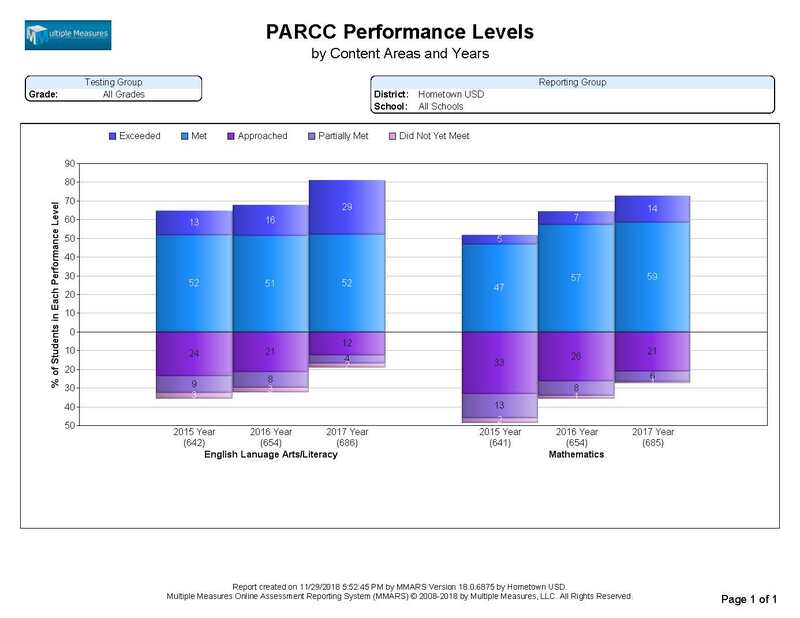 This report compares the Performance a group of students, by each subject, for each year. 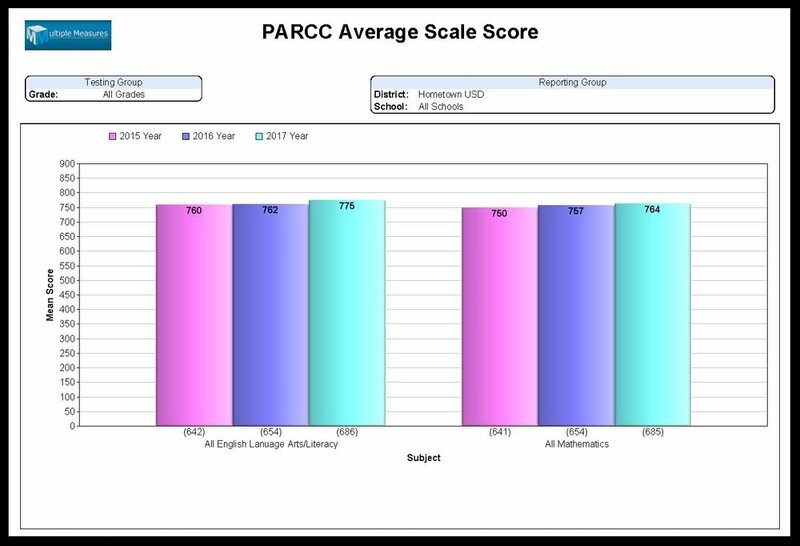 The districtwide Performance on this report (all schools/grades) shows gains in the percent of students above standard. 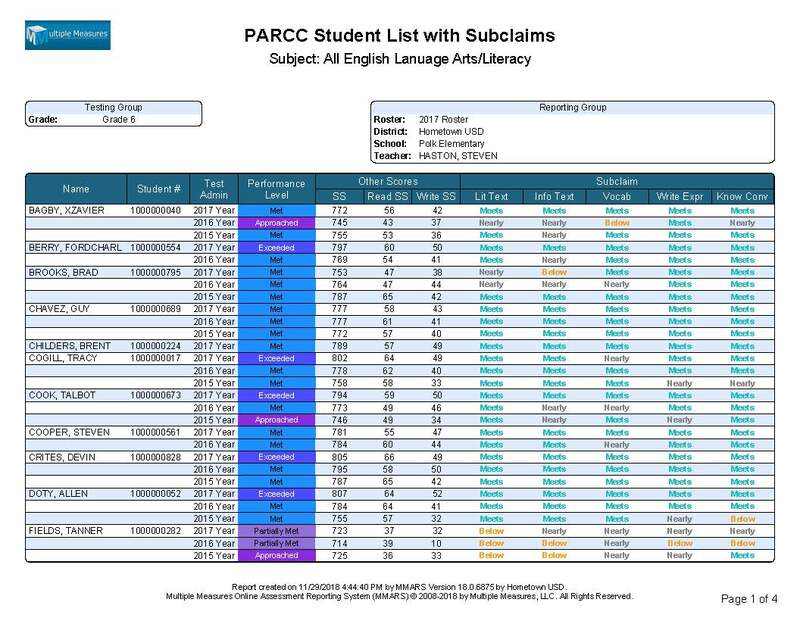 This report compares the Performance of the set of students tested for each Subclaim, for each year, but is available in various other JUX™ orientations. 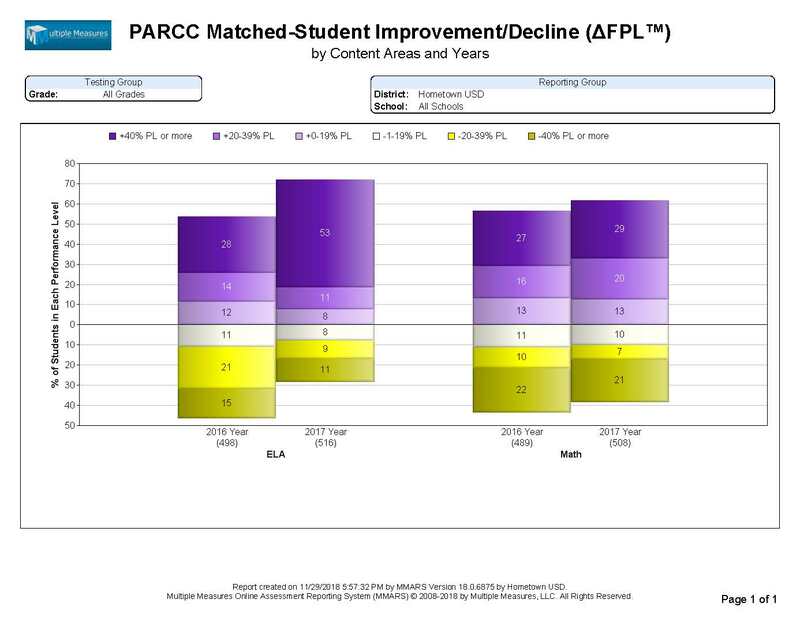 This report compares the CHANGE in the Fractional Performance Level™, of a given set of students tested at each subject, for each year. 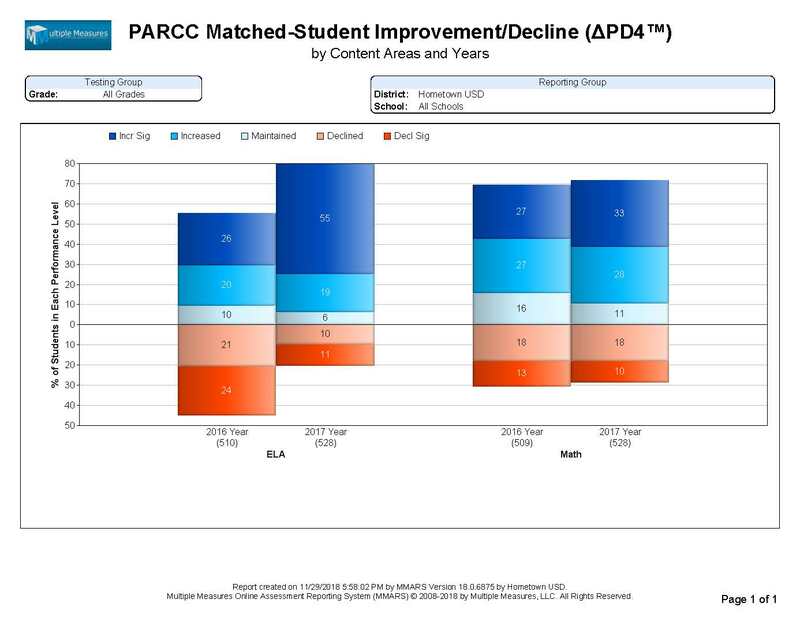 This report compares the change in Pupil Distance from Level 4 (distance from standard) for any given set of students, and is available in many different JUX™ orientations. 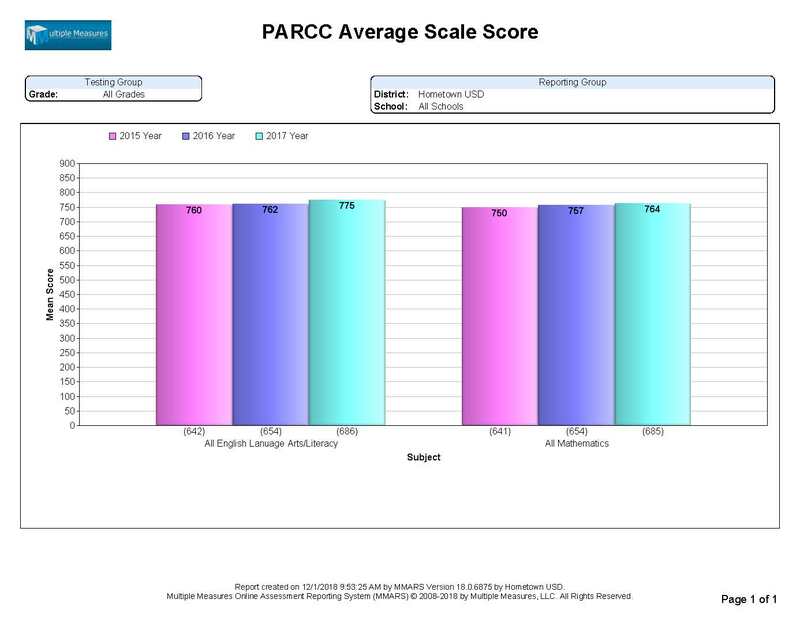 This report compares the average scaled scores for multiple years side-by-side, and is available at a district-wide (all schools & grades) or grade/classroom* reporting level. 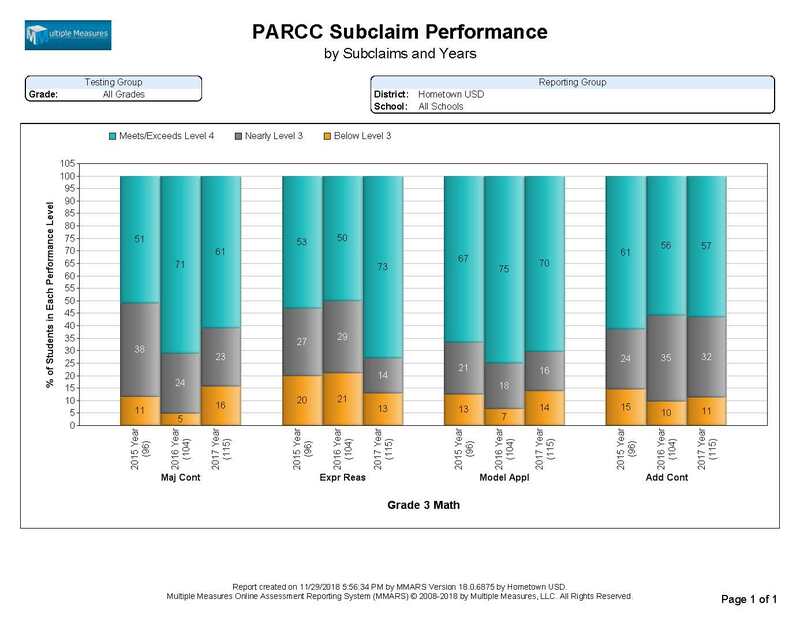 This report lists the Performance Level™, scaled scores, and Subclaims for either ELA/Math for any given group of students, for up to 3 years of data (per eligible student). 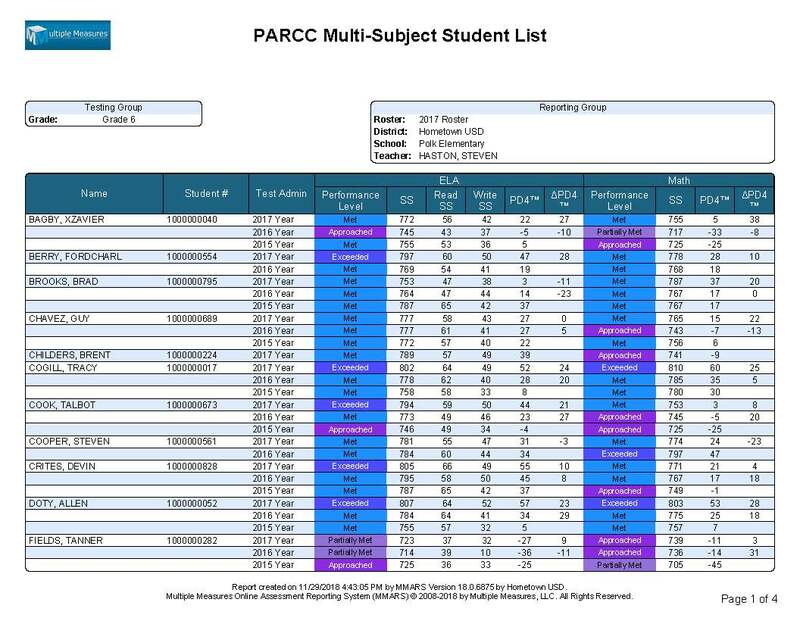 This report can be easily divided into classroom reports that teachers can utilize, with the use of student rosters. 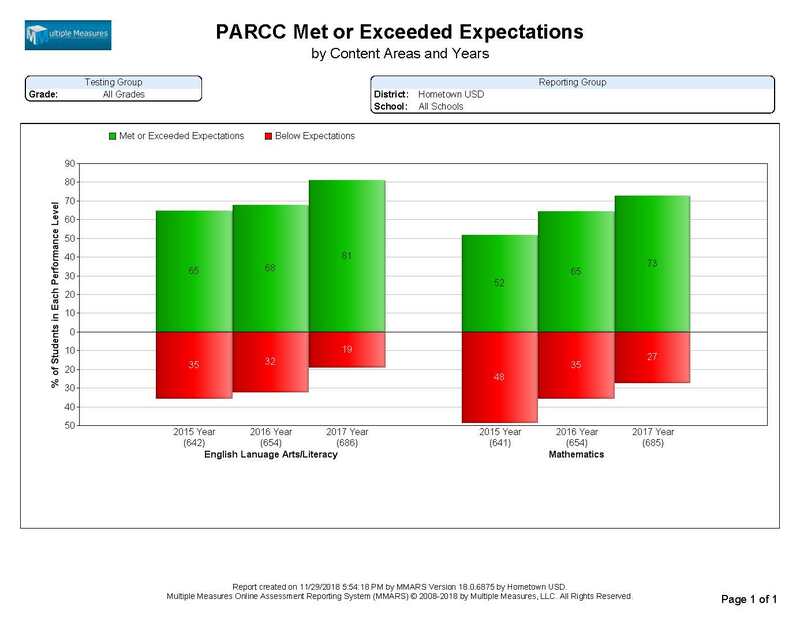 This report lists the Performance Level™, scaled scores, and Change in/Pupil Distance from Level 4 for both ELA/Literacy and Math for any given group of students, for up to 3 years of data (per eligible student). This report can be easily divided into classroom reports that teachers can utilize, with the use of student rosters. 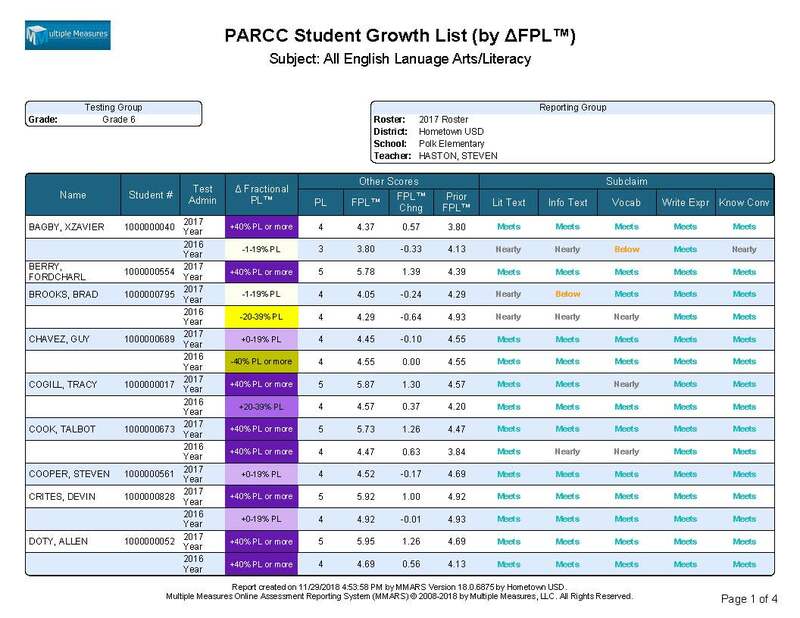 This report lists the Change in Fractional Performance Level™, alongside the “Other FPL™ Scores” and Subclaim scores for any given group of students. The FPL™ measures change “between the bands,” and can be divided into classroom reports that teachers can utilize. 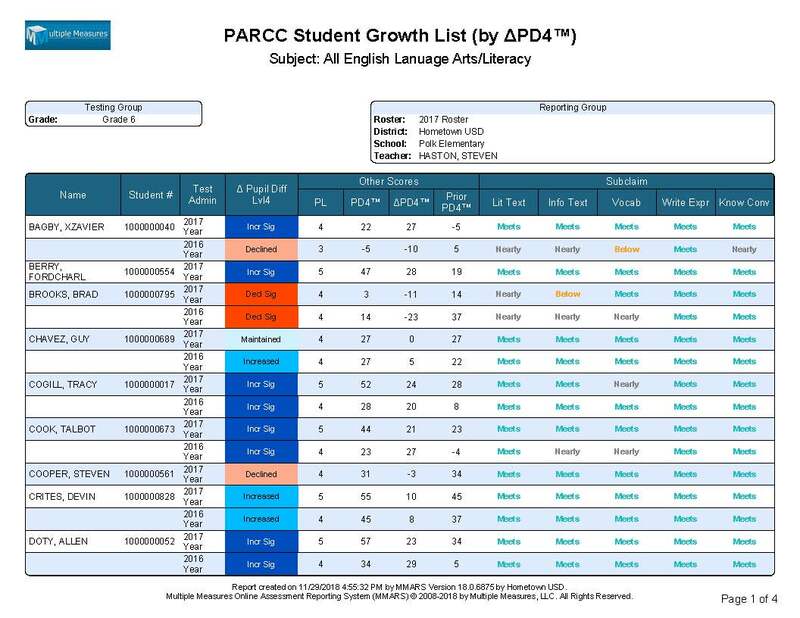 This report lists the Change in Pupil Distance from Level 4™ (Distance From Standard), alongside the “Other PD4™ Scores” and Subclaim scores for any given group of students. This report can easily be divided into classroom reports that teachers can utilize.